Regardless of how life unfolds, all of us have dreams and a childhood love that brought more joy than anything else. 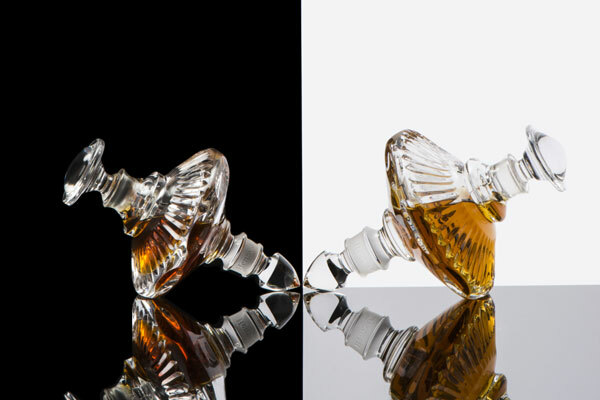 The newest line to be launched by Haute French Parfumerie Henry Jacques, Les Toupies – or Spinning Tops - are the expression of everyone’s inner dream. They portray the elegant complexity of life’s journey, from games filling one’s youth to the puzzling but enthralling dramas of reality. They turn to the rhythm of an endless waltz, channelling a wonderful dance that makes life on earth possible. And are they memory holders? A carousel ride, in a park, at dusk, with the one you love? For so long, Henry Jacques has strived to express the immensity and fragility of life and its many romances through perfumes. Now, Henry Jacques reveals the latest pieces in its whimsical realm of emotions and storytelling, becoming part of its rare collection of Masterpieces. Each Toupie in the pair contains its own, unique and exclusive fragrance, one for men and one for women, the kind of fragrance that parfumiers strive their whole life to achieve. They are timeless and universal, with a real distinction to their style. Toupies are offered in pairs or individually and are specially designed for those with an endless passion for art, historic French craftsmanship and olfactive know-how. These extraordinary crystal creations – unlike anything perfumery has seen in its long history – are a technical and artistic breakthrough for great Perfumery. The result of over three years of development, every single detail has been overseen by artistic director Christophe Tollemer. The Men’s flacon is slightly larger than the Women’s and when looking at them side by side, as they should remain, no matter how you place them, synergies appear, their curves seem to respond each other’s. The first couple is iconic. The two fragrances are iconic too. Henry Jacques has been waiting for years to unveil the first perfumes in the new Toupie line. Today, their marriage with the striking crystal lines feels almost like destiny. They are French Elegance. They represent the idea that no matter what happens in life, a certain grace, a style, must go on. It is effortless beauty, a victory of the natural over vain pretentions.